Vice President of Student Affairs Mary Jo Gonzales is getting some national exposure. 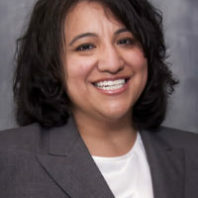 Gonzales, who received both her master’s and doctoral degrees from WSU, served as a senior administrator with the University of Rhode Island before returning to Pullman in February to assume her new role here. As vice president of student affairs, she is responsible for the non-curricular aspects of student life at WSU. She oversees student health & wellness; student access, equity & achievement; administrative services/auxiliaries and the Dean of Students office.